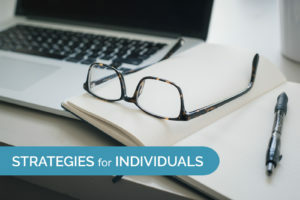 Tax season is just around the corner, and individuals are finalizing their year-end financial strategies ahead of the new year. We’ve compiled a few tips and tricks to ensure you’re exploring every available option for 2018. Less taxpayers will itemize because of the doubling of the standard deduction. Rather than giving a charity 5,000 a year for next five years consider giving the charity 25,000 in one year. This will allow them to get the benefit of their contribution. The medical threshold was lowered to 7.5% from 10% for years 2017 and 2018. Effective January 1, 2019 alimony will no longer be taken into income or a deduction on your return. This is effective for all divorces and separation agreements entered in after December 31, 2018. Under the old laws, withdrawals were limited to funding qualified college expenses. The new law allows withdrawals of up to $10,000 per year for expenses for tuition in connection with enrollment or attendance at an elementary or secondary public, private, or religious school. If you have high income schedule C consider paying wages to your spouse or children to keep from being limited on the passthrough deduction. The most direct control taxpayers have over their tax bracket rests in their ability to control the timing of income and deductible expenses. For example, taxpayers who expect to be in a lower tax bracket in 2019 should consider deferring income to 2019 and accelerating deductions into 2018. Whatever the stock is worth on the date of the donation is tax deductible, and you don’t have to pay tax on the gain on the sale. Keep in mind when you are looking at your itemized deduction that the state and local tax deduction is limited to $10,000.